Yes, I admit it, I'm in love with tassels! I guess many people are, as I see them everywhere now. 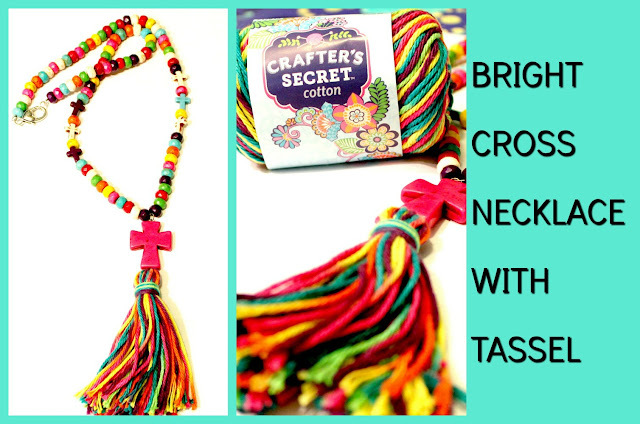 All the materials to make this necklace were purchased from Hobby Lobby, including the cotton thread I used for the tassel. 1. Large cross beads, I loved the colors! 4. 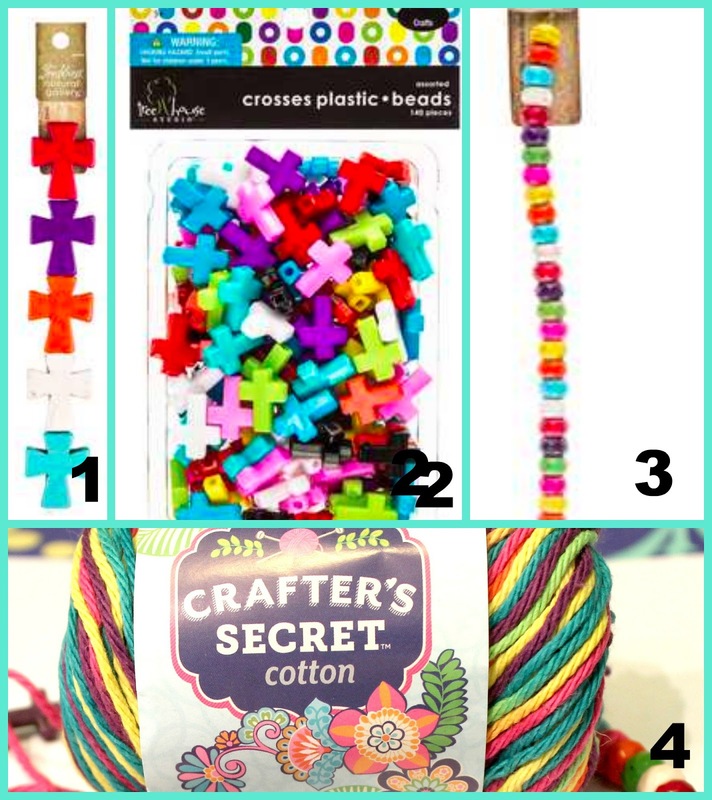 I loved this thread, since it made a beautiful tassel with all its mixed colors. The brand was Crafter's Secret. 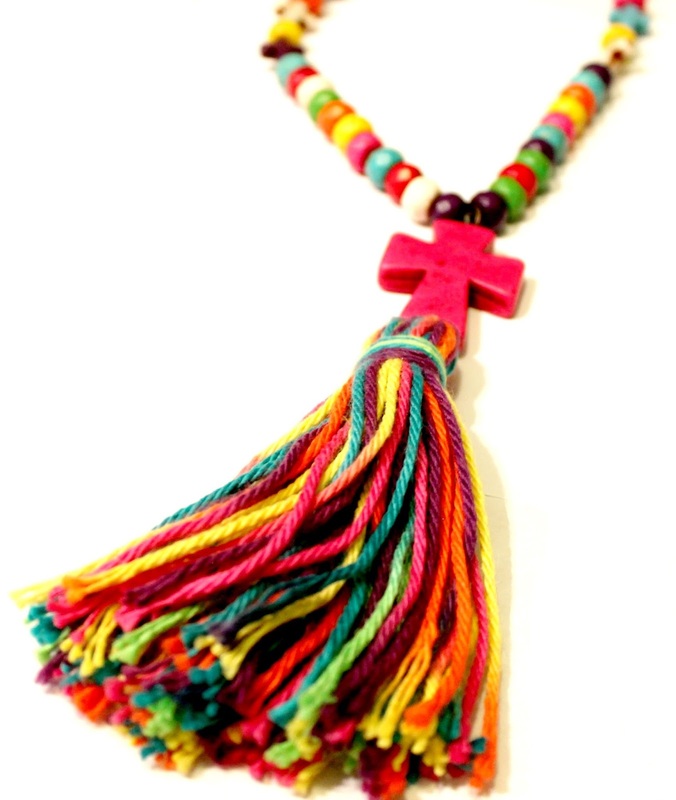 Bright cross necklace with tassel materials. 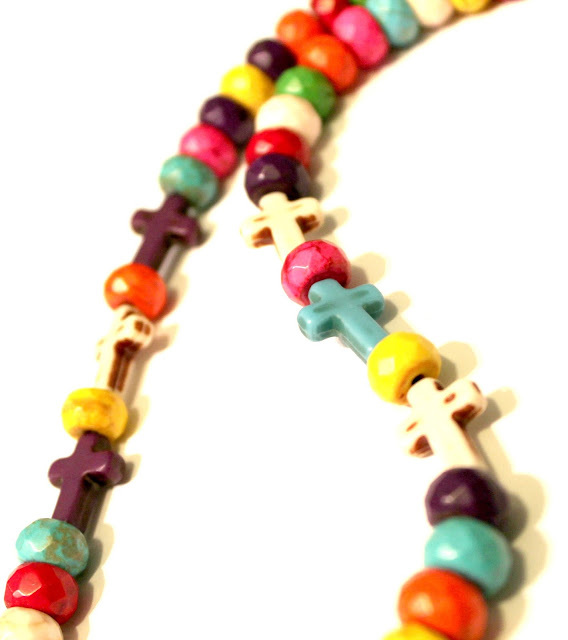 Here are the small crosses I used on either side of the 41" necklace. 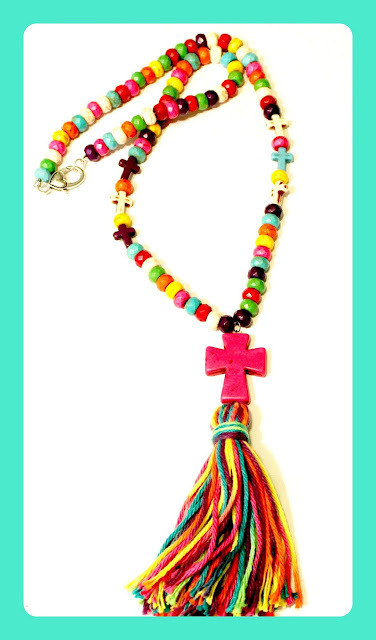 Bright cross necklace with tassel. 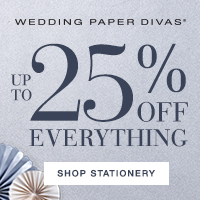 Keep surfing, pinning and creating!